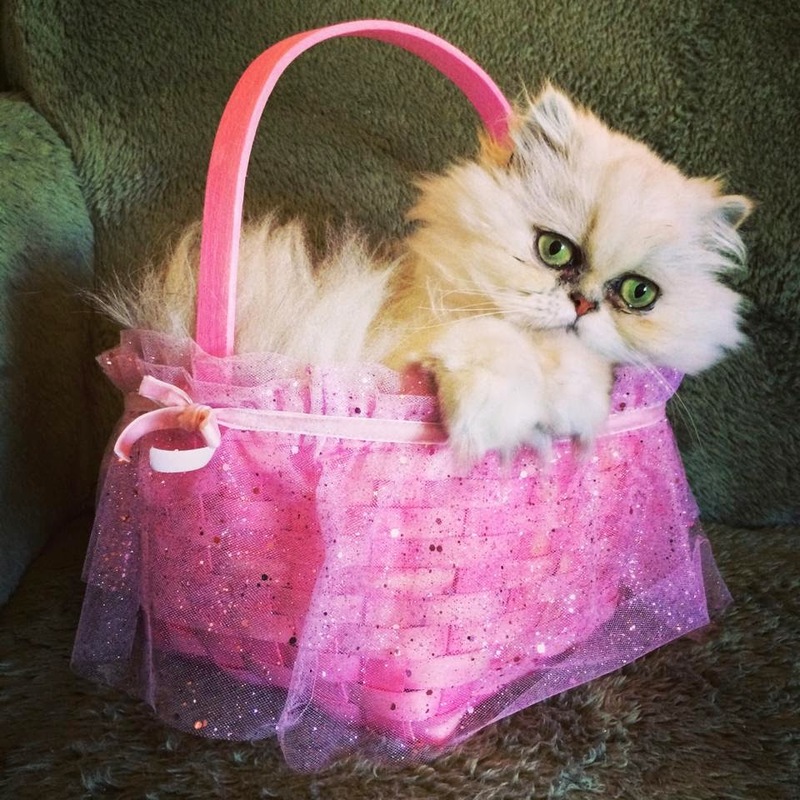 Lilly wonders how she could ever have thought eating all those salmon flavored jelly beans was a good idea. Well kids, another Easter has come and gone and we here in the S. family are experiencing the crash that comes after a sugar high. I've had more than enough ovum-shaped confections to last me 'til next year,* but I'm still craving candy-colored goodies. 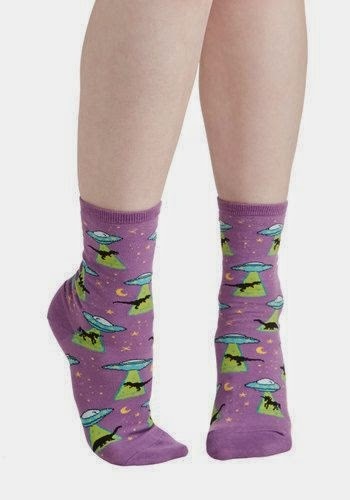 Thank goodness I stumbled upon these adorable, brightly hued geeky socks over at ModCloth. 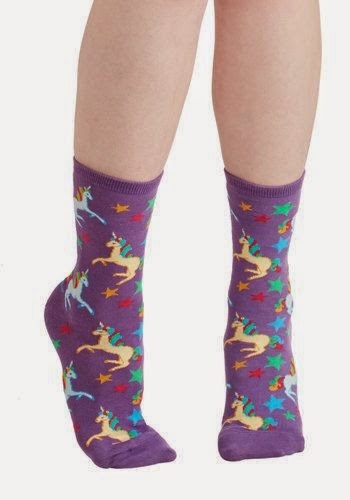 Alien abduction of dinosaurs and unicorn socks? YES PLEASE! 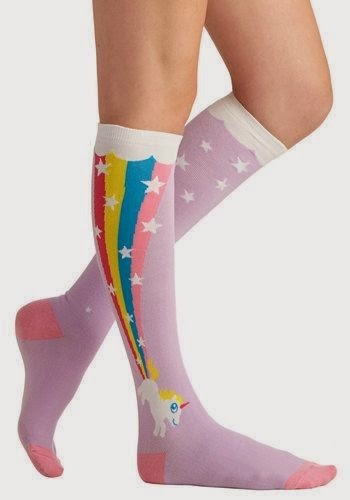 My childhood love of Rainbow Brite draws me to these socks. I actually own these Dorothy ruby slipper socks. 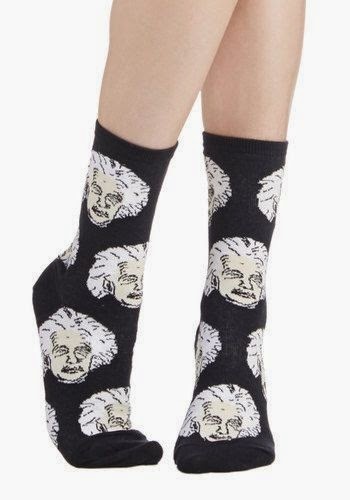 This Albert Einstein pair isn't candy colored but it's still awesome. Why yes, my unicorns DO fart rainbows. 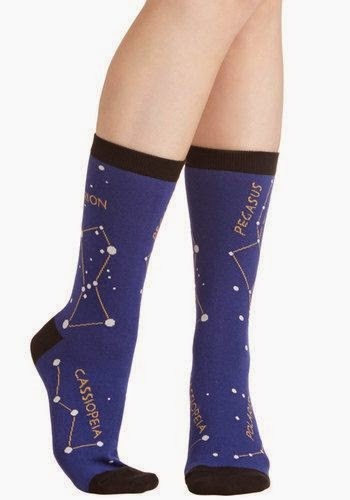 We're all made of star stuff, but now it's obvious, or at least it will be when you wear these. You can find even more amazing as well as non-geeky ones on ModCloth's website. This pair of Frida Kahlo tootsie covers are another of my favorites. *she types as she glances longingly at her staff of Cadbury Creme Eggs.